Guest shall mean and include all persons utilizing this booking for the property including, but not limited to, person by whom or in whose name the booking is made, his party, with or without the person making the booking, for whom he made the booking and all persons visiting or attending to him at the property for any purpose whatsoever. In case the booking is made by or in the name of an entity, “Guest” shall mean and include, all persons utilising the booking including, but not limited to, all persons for whom or on whose behalf the booking was made by the entity irrespective whether they have any relation to the entity or not and all persons visiting or attending to them for any purpose whatsoever. Guest shall also be referred as guests, party, you, your, he, his, she, her, they, their etc. Property shall mean the property for which the booking is made and accepted. Property shall also be referred to as resort, villa, Villas. JPL Hospitality Services Pvt Ltd shall also be referred to as Aalia Villas, we, us, our. All terms shall imply singular as well as plural context and shall be used interchangeably. By accepting and / or utilizing the booking of the property offered by JPL Hospitality Services PvtLtd, the guest, unconditionally accepts and agrees to abide by all the terms and conditions stated herein below. 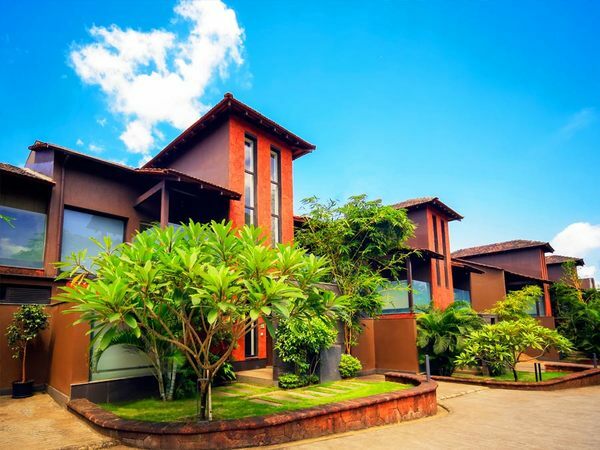 The property covered under this booking is leased by JPL Hospitality Services Pvt Ltd from it’s owners and we have Lessee - Lessor relationship between us and the owner of the property. As such this booking, in addition to the terms and condition stated herein, is also bound by leasing conditions laid down by owner of the property.By accepting and utilising this booking, the Guest(s) accepts to abide by those terms and conditions as well, some of which may not be listed here, but can be provided to the guest on his specific request. These basic terms of business shall set the terms on which the booking is accepted by us and accommodation is provided by us against the booking and all other services arranged by us for the guest. Your contract for rental of accommodation for the Property with us is subject to the conditions of lease entered in to by us with the property owner and shall be binding on the guest. Our website, brochures and other publicity material endeavors to show and project information and content provided to us by the owner of the property. While we have made all reasonable efforts to verify the correctness and currency of the information, we shall not be held responsible for any variance thereof with actuals. Guest explicitly agrees to use all facilities and amenities in and around the property entirely at the guest’s own initiative, risk and responsibility. Further, guest hereby indemnifies and shall keep indemnified as well and waives and releases any claims against JPL and the owner of the property and their successors, assigns, employees or representatives, officially or otherwise, for any loss / damage of whatsoever nature and magnitude, including financial and otherwise, injuries or death that may be sustained by guest and / or his party and / or his visitors for whatsoever reasons, on, near or adjacent to the property, including any common facilities while staying or using the property and / or using facilities, amenities, equipment, appliances etc. provided in or around the property. It shall be sole responsibility of the Guest to be responsible for safe keeping of himself and his belongings, of whatsoever nature, at all times. We or the owners of the property shall not be responsible, in any way whatsoever, for any theft or loss of any belongings of whatsoever nature of the guest for whatsoever reasons or on whatsoever account. The guest shall NOT be entitled to claim or receive any damages / refunds from us or the owners of the Property for any loss suffered by the guest. We or the owners of the Property shall not be responsible in any way whatsoever for any loss or damage or claim either by the Guest or any of its party which they may suffer arising out of events beyond our control. The rights of admission to the property are absolutely and unconditionally reserved by us. The booking is offered based on the information and profile provided to us about the guest and his party by the person making the booking. If the information and profile provided is found to be a misrepresentation, the guest shall be refused entry to the property and if the guest has already checked-in, the guest shall be removed / ejected from the property along with his entire party by us or our agents with no recourse whatsoever to refund of any of the booking amount paid for the booking. Occupancy numbers are strictly enforced. Total number of guests, including his daytime visitors shall NOT exceed “Total Pax” stated on the Booking Confirmation issued by us. If the total number of guests exceed ”Total Pax” stated on the Booking Confirmation, the guest may be refused check-in or entry in to the property and if the guest has already checked-in, he will be removed / evicted from the property without recourse to any refund of booking amount paid for the booking. We may permit, at our sole discretion, additional persons on charging additional amount. No additional persons will be allowed unless a written acceptance is issued by us. Before checking in, It is MANDATORY for each and every adult guest to provide a photo copy of government issued photo ID to us, along with original for verification, and enter their names and other details in the check-in register kept at the property. No guest will be allowed to check-in without complying with these requirements. It shall be sole responsibility of the guest to carry a photo copy of the ID document with them, as our property does not have facilities for taking photocopies. The following documents only shall be considered as valid ID proofs: Passport, Driving License, Voter ID, Aadhar Card. Child Policy: Every Adult guest is requested to carry proof of age for their children. A maximum of two children below 6 years will be accommodated in the same room at no extra charge without an extra bed. Maximum of one extra bed/mattress will be provided in each suite subject to payment of extra occupancy charges by the Guest. We reserve the absolute right to carry out any such renovation(s) and upgradation(s) in the Property as we deem necessary and would notify the guests accordingly. Payments may be made by depositing cash or cheque into our bank account or by transferring the required amount by RTGS, NEFT, credit card or debit card. Please ensure that the details in the confirmation voucher are accurate and in case of any discrepancy please bring it to the notice of our reservations team with three days of receipt of the same. Our team at the property will abide by the information present in the confirmation voucher only. Security deposit of Rs. 20000 will be charged and has to be deposited with JPL at time of check in. The security deposit will be refunded, after adjusting any recoverable dues from the guest by us, at the time of check-out. If security deposit is provided through a credit card block, the block shall be released within 10-15 working days from date of check-out after deducting card transaction charges, if any. Further refund of security deposit shall be subject to deduction of charges recoverable from the guest e.g. extra occupancy, damages caused, excessive cleaning required, furniture resetting, service calls beyond duty timings of property staff etc. If the recoverable charges exceed the amount of security deposit, the excess amount will be billed to the guest and guest shall be liable to pay the same before check-out. At the time of check-out, the guest is responsible for leaving the property in good order, save and except normal usage. The guest is and shall be responsible for any damage caused to the property, as well as equipment, appliances, cutlery, crockery, utensils, furniture, fittings, furnishings, finishings, structure, artefacts, etc. in and around the property, during their stay. Guest shall have to reimburse any such damage / breakage caused by the guest during their stay. If any such damage / breakage is discovered post check-out, the damage amount will be billed to the guest and guest shall be liable to pay the same, without demure, within 7 days of such demand being raised by us. It is the responsibility of the guest to observe and report any damage to the Property or equipment, appliances, cutlery, crockery, utensils, furniture, fittings, furnishings, finishings, structure, artifacts, etc. therein within 60 minutes of checking-in. Unreported damages shall be deemed to have occurred during occupancy by the guest and the guest shall be held responsible for those damages and resulting charges. Before checking-out or going out of the property, the guest shall make sure that all doors and windows are locked, all appliances & equipment e.g. air conditioning, heater, lights, fans, gas burners, cooking ranges, ovens, dish washers, water taps / faucets etc. are turned off and furniture returned to their original locations. Guests shall leave the property in a reasonably clean state. Failure to comply with the above shall result in extra cleaning charges plus applicable taxes, if any. Reservations cancelled within 14 days from the date of arrival will incur a cancellation fee equivalent to the entire length of stay. In case of no show, 100% retention equivalent to total room nights booked will be charged. Any amendments of dates for a guaranteed reservation within 14 days may invite retention. If we, at our sole discretion, feel that guest has made the booking by providing fraudulent information or for illegal purposes, we may cancel guests booking at any time without any prior intimation to the guest without any recourse to refund. The Property is NOT pet friendly and DOES NOT permit pets. Guests, including their day visitors, who bring pets will be refused check-in or entry in to the property and if the guest has already checked-in, he will be removed / evicted from the property without recourse to any refund of booking amount paid for the booking. Unless otherwise agreed in writing, our standard check-in time is 2:00 PM, which is STRICTLY adhered to. Guests shall not arrive at the property before check-in time. The property has no waiting area or lobby to accommodate guests while property is being prepared for check-in. Guests will be charged one additional days rental if the property is occupied by the guest prior to check-in time stated in the Booking Confirmation. Unless otherwise agreed in writing, our standard check-out timeis 12:00 noon, which is to be STRICTLY adhered to. If an alternate check-out time is agreed to by us, it shall be clearly stated on the Booking Confirmation. Professing oral commitment of late check out by any one from JPL shall not be entertained or honoured. Guest WILL NOT be permitted to occupy the property beyond check-out time stated on the Booking Confirmation. If the check-out is delayed for whatever reasons, the guest will be liable to pay. All arrivals prior to 8 AM are billed from the previous night. The Villa Management reserves the right to charge for the entire duration of stay, in the event of an early departure. Terms & conditions are subject to change. We shall not be responsible, in any way whatsoever, for failure or outages of utilities like power or water supply etc. or any acts of nature or failures / malfunction of mechanical or electrical systems / equipment / appliances, drainage / water system etc. that would possibly limit the use of the property and / or facilities therein or reduce the comfort of stay. No REFUND, REIMBURSEMENT or COMPENSATION, of any kind whatsoever, shall be claimable or receivable by the guest or payable by us on such account. However, we will put in our best efforts to have such failures or breakdowns rectified as soon as possible, but we cannot control the scheduling of outside service contractors. We shall have the right to arrange, inspect and make repairs during the guest’s stay in the property. If the property booked by the guest becomes unavailable or uninhabitable, for whatever reasons, we reserve the right to provide alternate comparable accommodation at comparable location within the same price range. If a Property in comparable price range is not available, additional charges may have to be paid by the guest for alternate higher-grade accommodation. The Guest or his party shall NOT cause any nuisance to neighbors of the property, shall NOT play loud music, shall NOT use the property for any purpose other than accommodation, shall NOT use the property for committing or conducting any unlawful act, shall NOT conduct any immoral activity or acts, shall NOT bring or store any inflammable, restricted or prohibited material in or around the property. Open FIRES are STRICTLY PROHIBITED anywhere on the property. FIRE WORKS are ABSOLUTELY and STRICTLY PROHIBITED anywhere on and around the property. Smoking is STRICTLY PROHIBITED anywhere inside the villas. Consumption, possession or bringing of “NARCOTICS”, “DRUGS” and other prohibited SUBSTANCES by any guest or member of his party or his visitors is STRICTLY PROHIBITED. A police complaint will be lodged against the guest if the staff gets wind of any such violation. House parties, reception and other such events are prohibited, unless explicit written permission is taken for the same. They may be permitted, at the managements sole discretion. If permitted, additional charges and security deposit will be payable. While alcohol consumption is permitted, Beer Kegs are NOT permitted at all. We suggest that guests consume alcohol responsibly. Breach of any of the clauses stated under Safety and Prohibitions herein above shall result in automatic and immediate termination of the booking and result in immediate eviction / removal of the guest and his party from the property without recourse whatsoever to any refund of booking amount paid for making the booking and forfeiture of entire security deposit. Any breach or violation of any of the terms stated herein above by the guest or his party will also render the guest and his party liable to be immediately ejected from the property without recourse whatsoever to any refund of booking amount paid for making the booking or security deposit paid, notwithstanding whether such non refund ability is stated in the individual clauses or not. This booking and issues arising out of it shall be governed by, and construed in accordance with, the laws of the Union of India and subject to the jurisdiction of the courts of New Delhi, without regard to the principles of conflicts to law of any other jurisdiction. These terms and conditions may be modified from time to time at our sole instance without any prior intimation.